I am stepping up to run for State Representative to help build a viable economy and vibrant community for our children and their children. I see St. Johnsbury as the hub and heart of the Northeast Kingdom. Stop by the Town Clerk’s office at the Pomerleau Building / Welcome Center, or call 748-4331 to have a ballot mailed to you! 11/4/18: UPDATES to "What I Believe"
Please check back as I continue to update! Senator Jane Kitchel, Vermont Senate, Caledonia Co. I will take a stand for you in the Statehouse. Support my candidacy for State Representative to the Vermont House from St. Johnsbury, and learn more about my track record and positions. 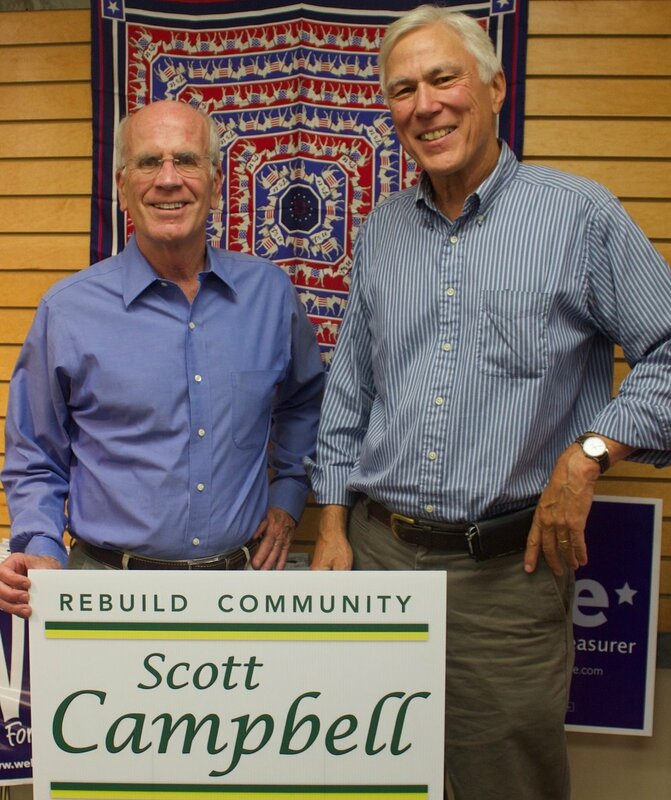 Paid for by Campbell for Vermont Campaign Fund, Bob Swartz, Treasurer. 761 Crow Hill Road, St. Johnsbury, VT 05819.